Here's a photo of some of the great custom product labels made by Saratoga Salsa and Spice Company. 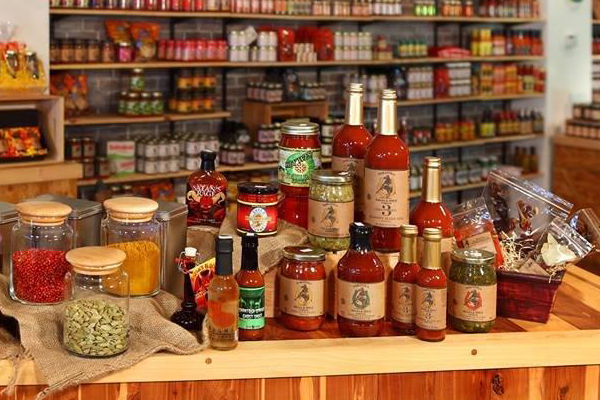 Located in Saratoga Springs, New York, Saratoga Salsa & Spice makes all sorts of spices like Salsas, Spices, and Sauces, to BBQ, Marinades, and more! With a hard working team, they make sure they have the best quality products to add that something special to your meals. Check out their website at www.saratogasalsaandspice.com, to discover recipes, and a handy little heat scale! If you're in the Saratoga Springs area, be sure to stop by their store and visit their friendly staff.